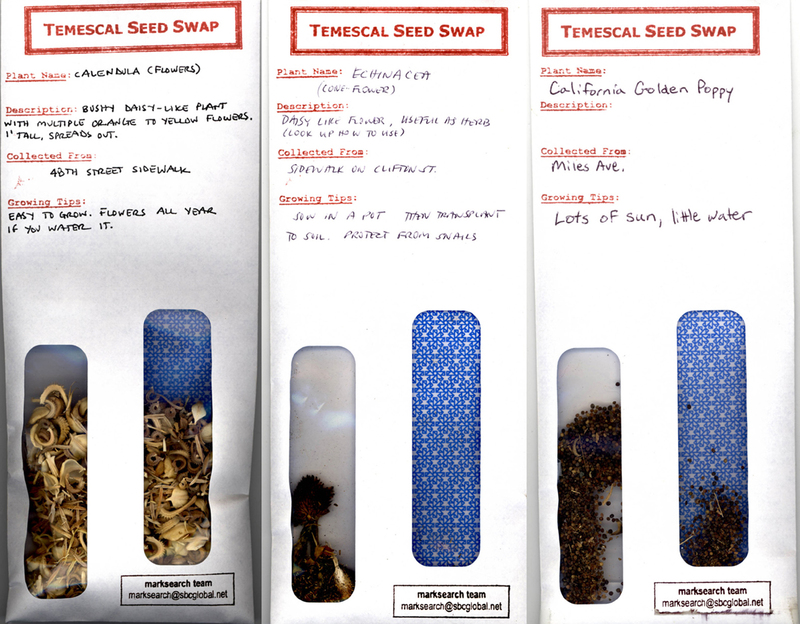 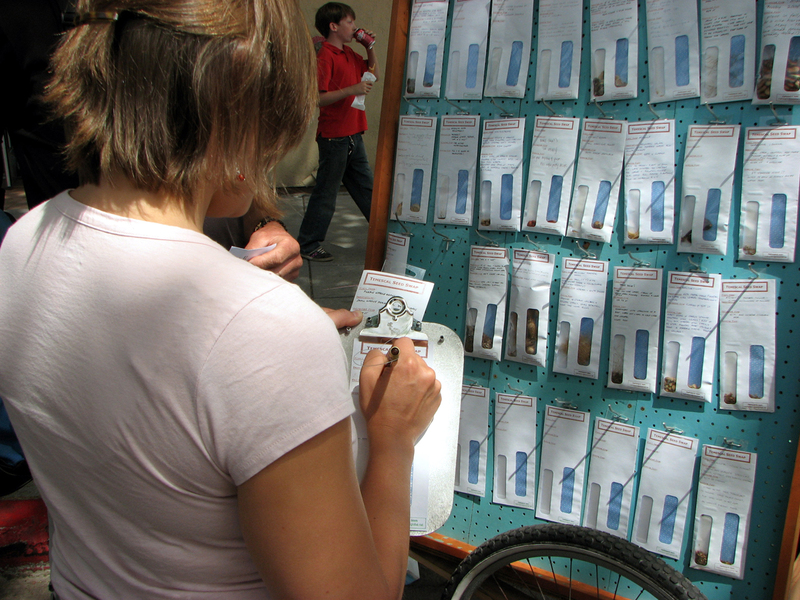 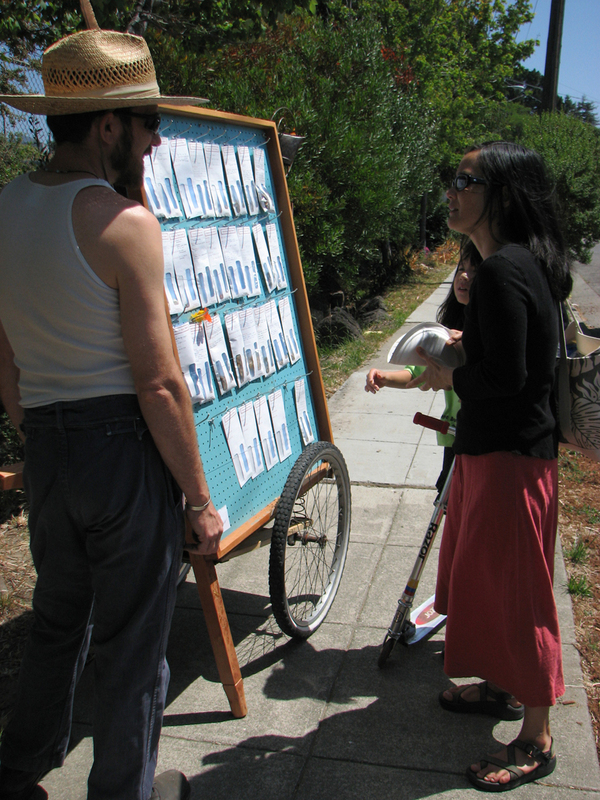 The Temescal Seed Swap was a roving neighborhood feature: we visited local street fairs, block parties, churches and the farmers' market to encourage the sharing of local seeds and conversation about gardens. 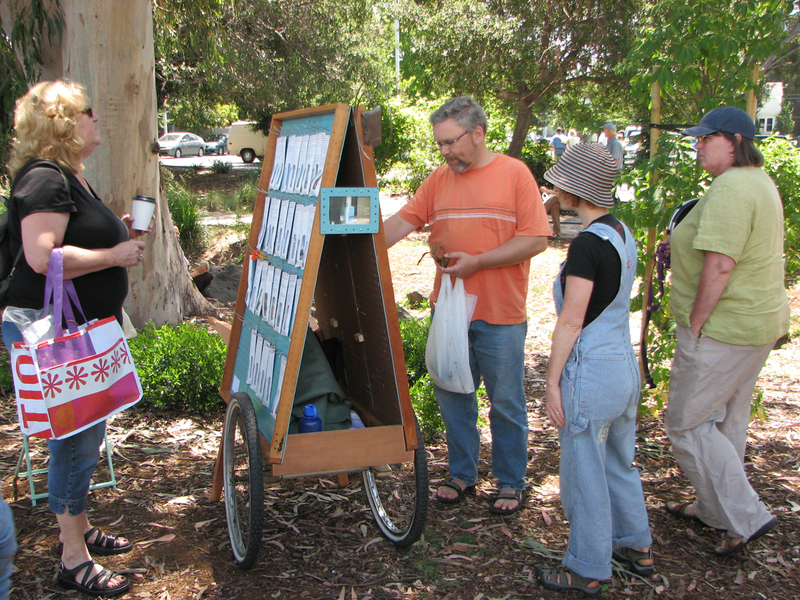 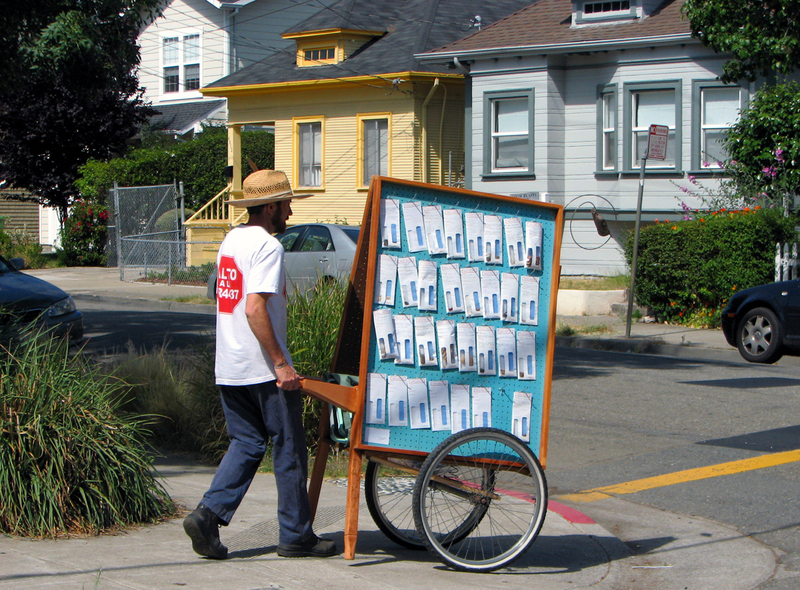 The cart is constructed from reused discarded materials found nearby. 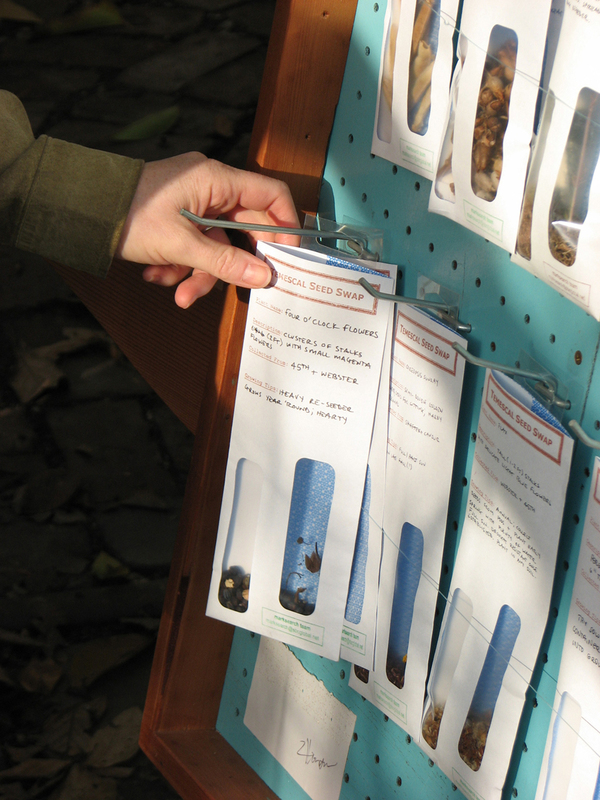 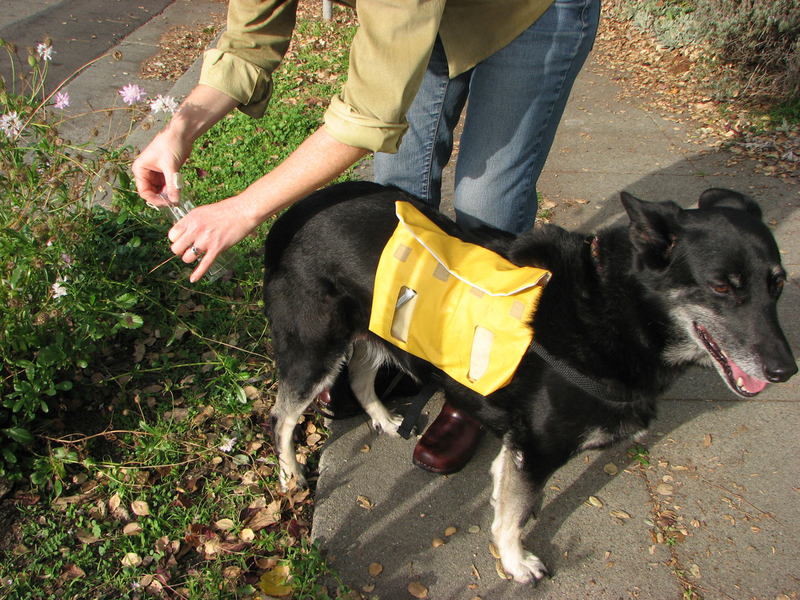 The constantly changing seed stock represented plants and vegetables easily grown in this East Bay micro-region. 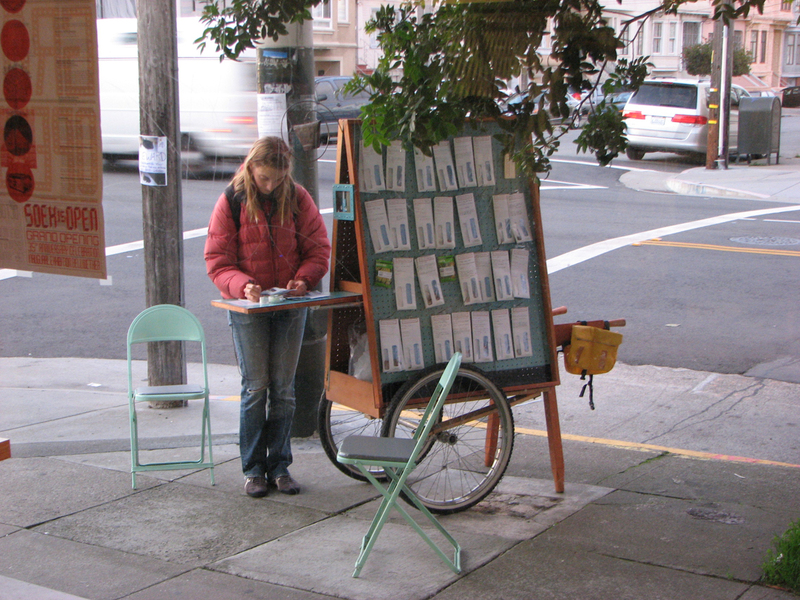 Documentary film-maker Matt Dibble produced a short video.